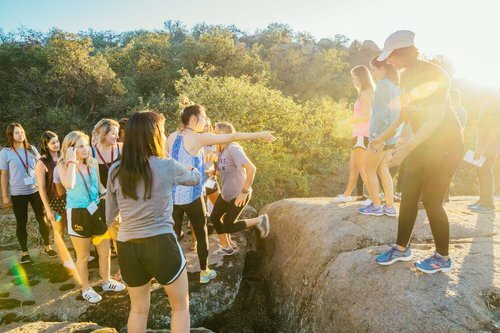 Passion and Purpose Retreat (P2R) is an overnight program using the lens of social innovation to help students determine how to lead a life of meaning. So much of being an agent of change, be it as a social entrepreneur, or as an innovator in whatever field you choose, is figuring out exactly what drives you. And of course, while college is supposed to be about taking the time to figure out what you want to do with your life, we often don’t really get an opportunity to take the time to do just that. That’s why courses at Stanford like “design your life” and Harvard’s class on positive psychology about how to be happy are so popular – we don’t have nearly enough guidance exploring our passion and purpose. 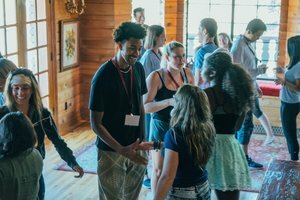 This program aims to provide that guidance, by teaching skills in creativity, design thinking, and using social innovation as a means of considering the questions that help us determine how to live a life filled with purpose.